Photography has been my passion since I got my first camera at the young age of 8. In my early days it was merely taken snaps whenever I could. Back then in the dark ages of film photography it was not always affordable to take many photos. As a result every shot had to count. We had to get exposure, focus and composition right from the beginning because afterwards it was not possible to change it. Today in the digital age things are much easier and we are having what I call an inflation of imagery. Whilst we are flooded with images the value that we put to an image has diminished. On the other hand the digital age has brought us almost endless creative possibilities taken an image to the next level. The images that we see today are nothing short then amazing. Check out my my Favourite Wedding Photography that I collected on Pinterest. Wedding Photography is a good example how photography and also presentation styles have changed. When I got married we got a box of about 90 images in a box and an album which had the best images mounted one per page. Beautiful at the time, but by today's measures certainly not overly exciting. Today we can print on almost anything. We can create beautiful images on high quality canvas, acrylic mounts that look truly amazing and even print to metal or rock. Wedding albums have similarly evolved to the most stunning album creations that we can imagine. 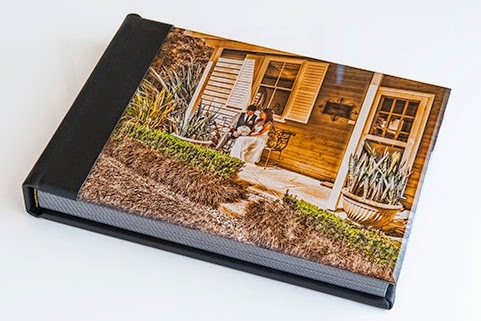 The difference with a modern album is that we can design each page individually and depending on the skill of the photographer or the graphic designer who is creating the album you can end up with a piece of art that stands out from the crowd. Wedding Photography for me is one of the most demanding fields of photography. A wedding photographer must have a friendly and outgoing nature to interact with the bride and groom and their guests. On their big day most couple are a little stressed and anxious. It is not everybody's cup of tea to perform in front of a crowd or hold a speech let alone get their photo taken. The photographer's job is to put everybody at ease and develop a relationship with the crowd. The other challenge is to make sure that the photos are technically perfect. We need to get the lighting right make sure the image is sharp and first an foremost must not forget to take important shots. To miss the first kiss or the first dance is big issue. After all we cannot go back and take the photo again later. It has to be perfect from the start. This makes wedding photography one of the most challenging fields in photography.